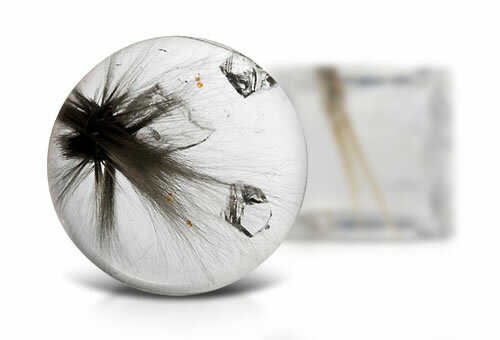 Brookite is a polymorph to rutile and anatase, meaning it shares the same chemical properties, but crystallizes differently. It occasionally is found included within quartz as a red to brown colored crystal. Brookite is a form of titanium dioxide. Brookite in quartz will have brookite inclusions and may contain liquid, two-phase and three-phase inclusions, negative crystals, minerals, needles, rutile, iron particles.